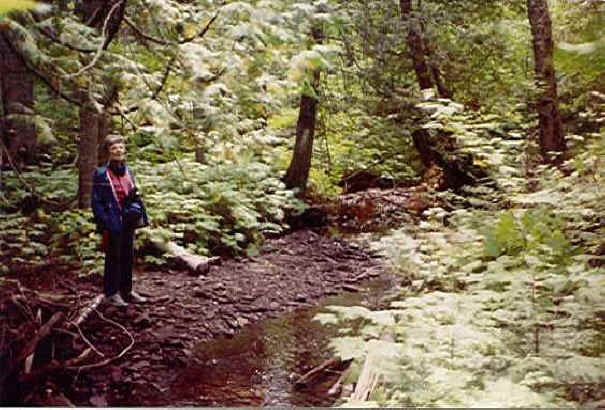 Garden Brook crosses US41 about half a mile south of Copper Harbor. There is a parking spot, and you can walk west along the brook, although the path isn't very good. This picture was taken in 1991. The lady is my late mother. Shortly after I took this shot, I attempted to ford the brook to her side and disturbed a hive of bees nesting in the bank. I didn't know I could move so fast, but I ended up with a number of stings anyway, all on my backside.